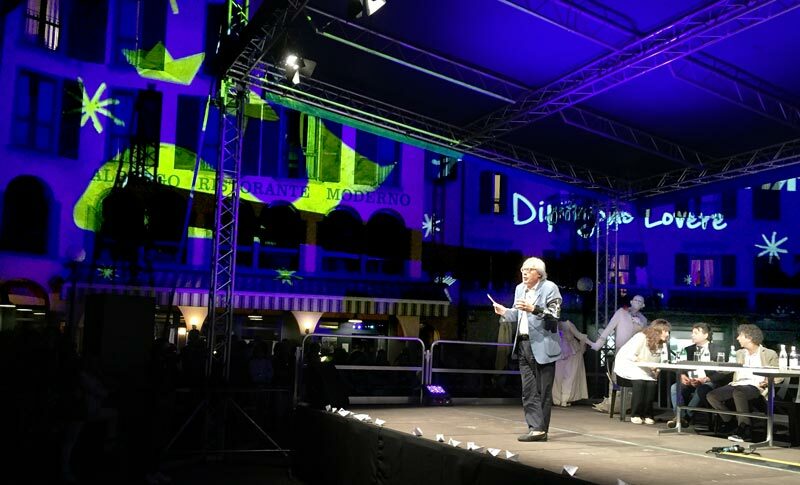 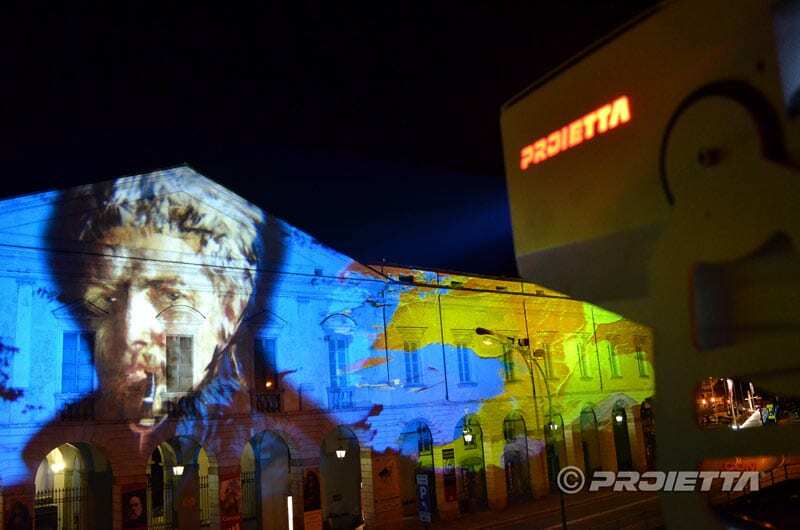 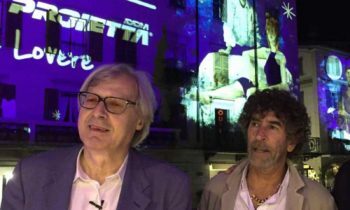 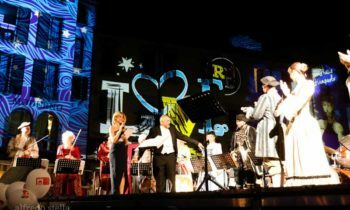 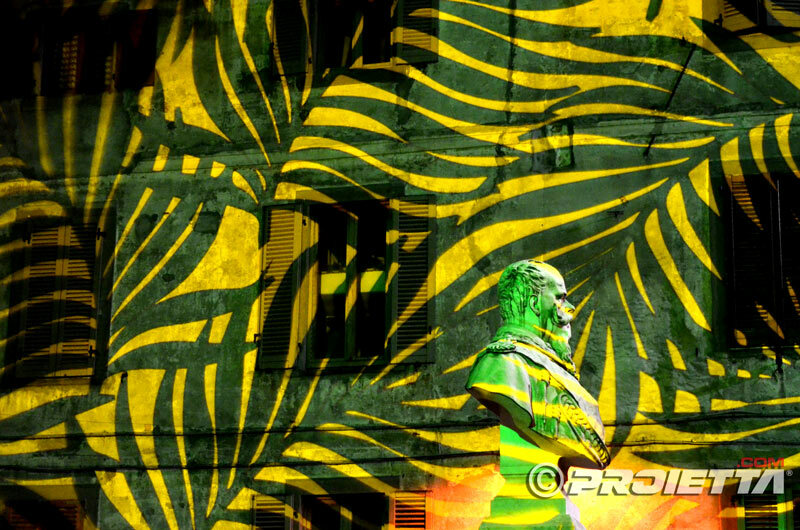 The experience gained in the production of high-definition gobos, has allowed PROIETTA to realize artistic-themed installations, faithfully respecting the quality of the art works. High-impact scenographies bring art out of museums to show it to public, in order to intrigue and stimulate it. 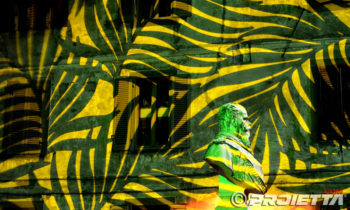 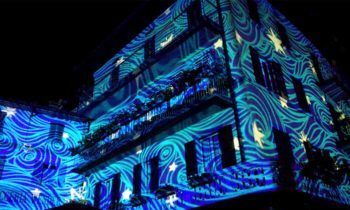 A careful study of the art works, the selection of most significant elements and the elaboration of the same, made it possible to give uniformity and cohesion to the projections. 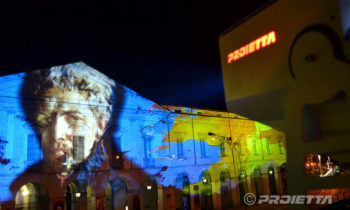 PROIETTA is as an ideal reference for artists who want to promote their art or even to promote cultural initiatives such as exhibitions or events. 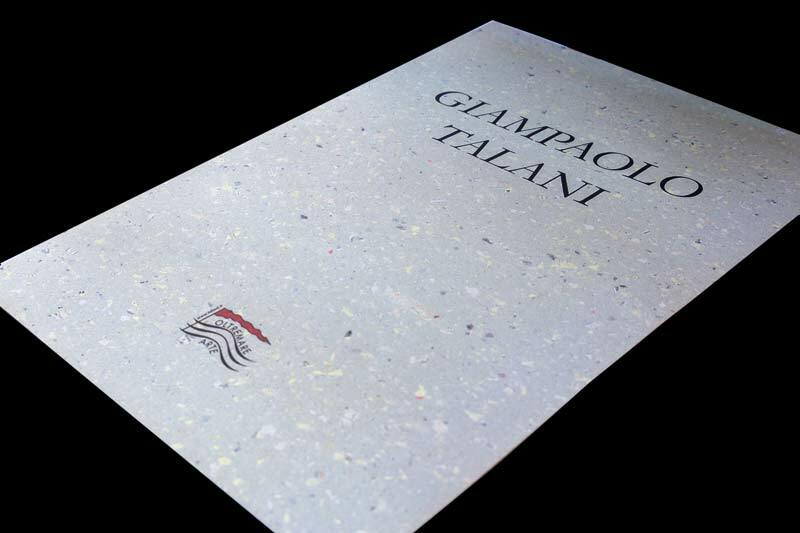 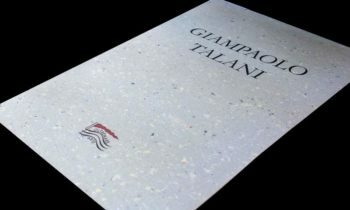 PROIETTA has designed the light scenography dedicated to the international fame painter Giampaolo Talani. 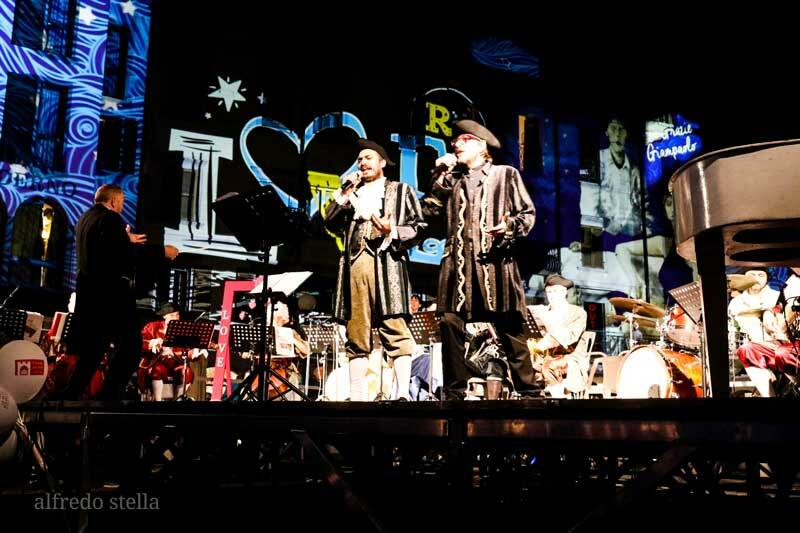 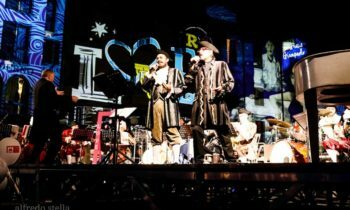 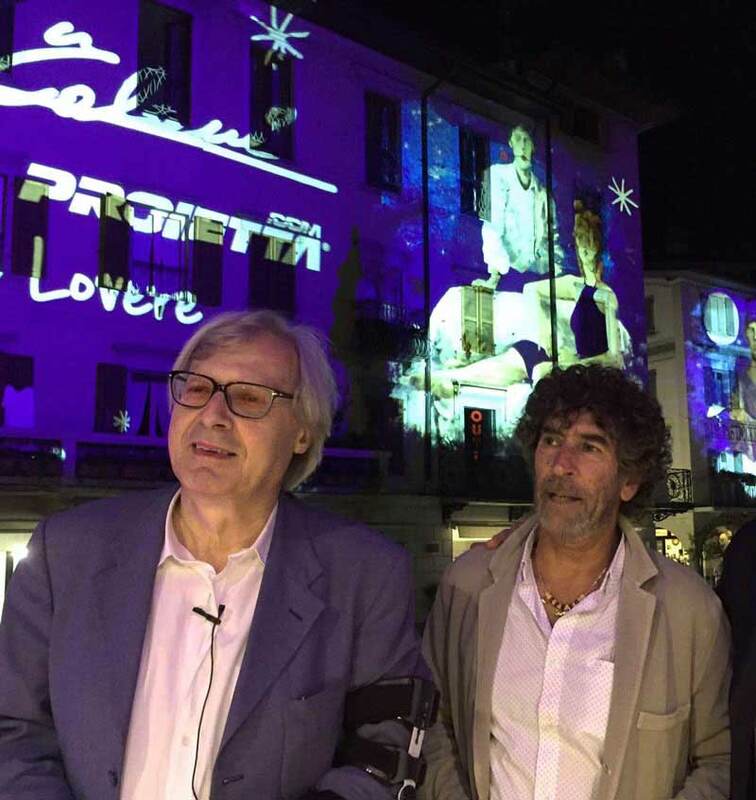 The location is the City of Lovere, already screen of past events as The Floating Piers, and Christmas 2016. 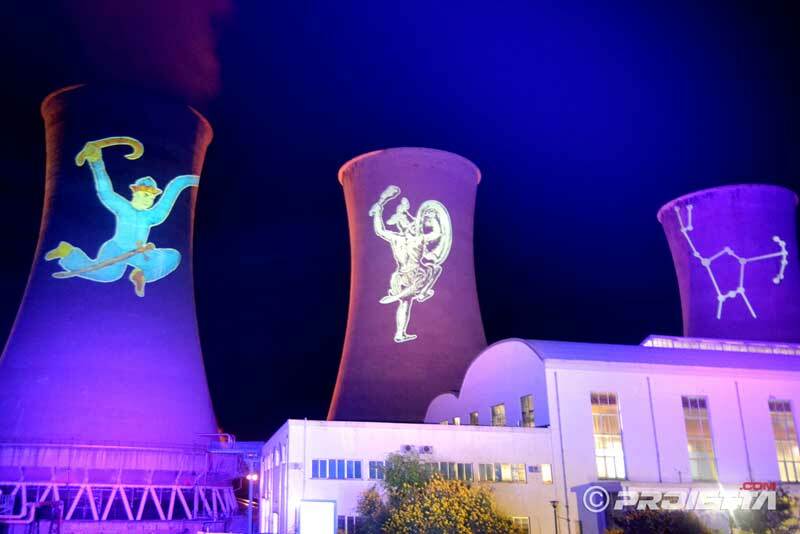 Paintings and dynamic effects have animated the scene. 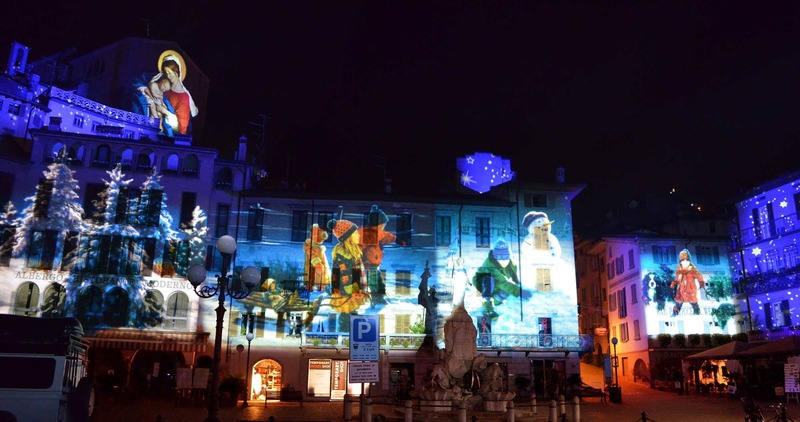 Thanks to the brightness of the IMPRESSIVE 1200-2500 architectural projectors, the expressiveness of the paintings and their chromatic impact has been preserved on the surface of the buildings as they appear on the canvas. 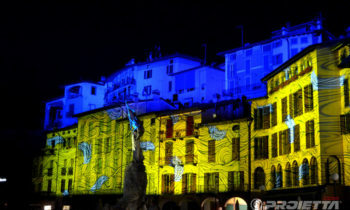 A highly suggestive scenery that has embraced the main buildings and squares of the City. 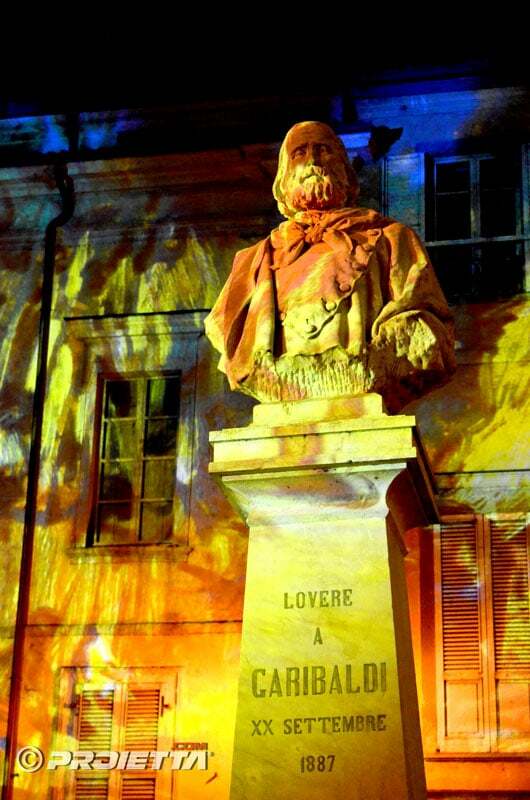 Time in which you want to be recalled:8,30 a. m.10,30 a. m.3,30 p. m.8,30 p. m.
Lovere is once more home to artistic displays by PROIETTA, this time for the inauguration of the exhibition dedicated to the painter Giorgio Oprandi, at the Accademia Tadini. 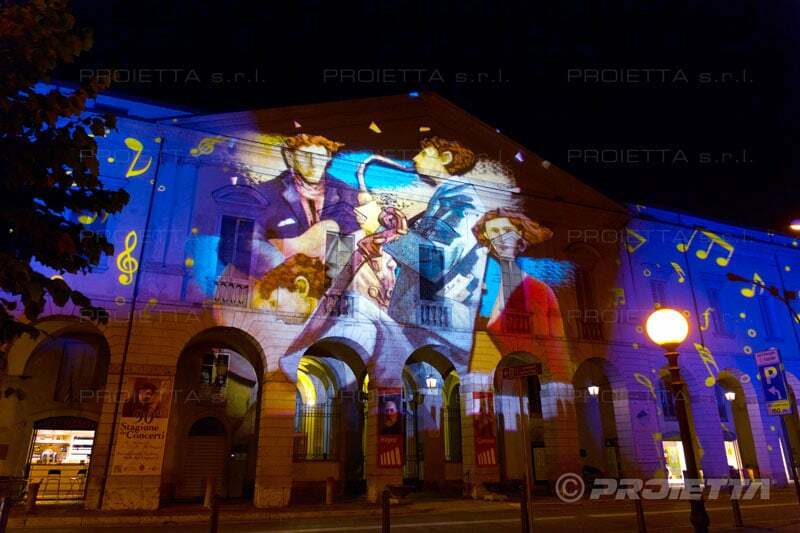 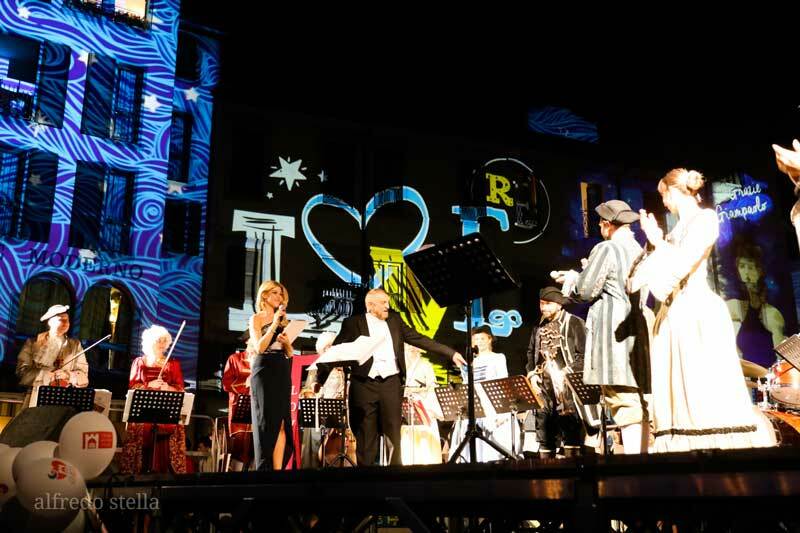 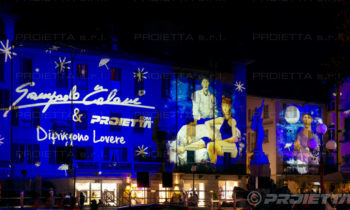 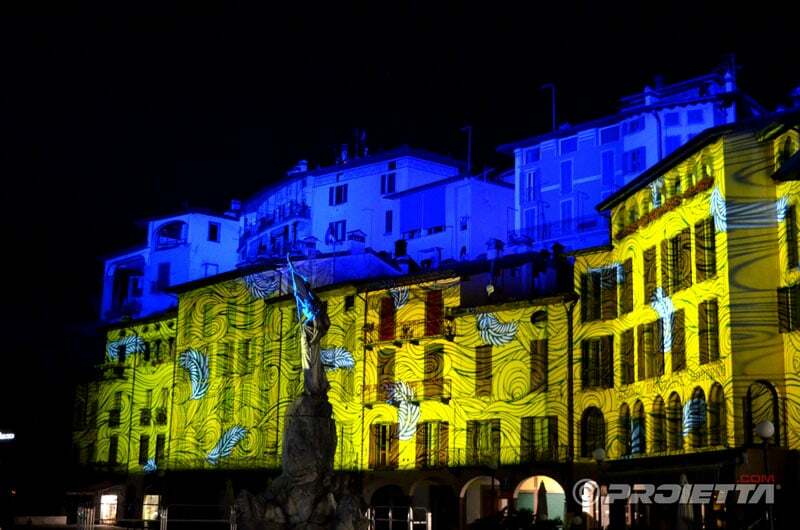 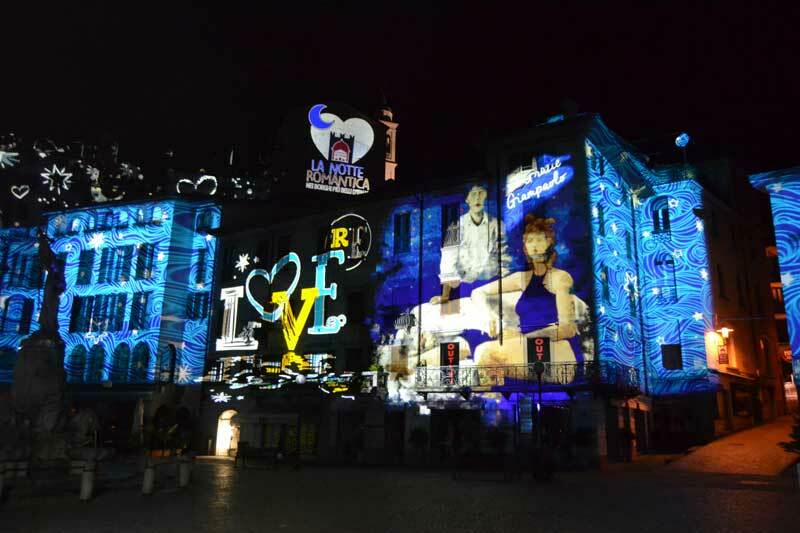 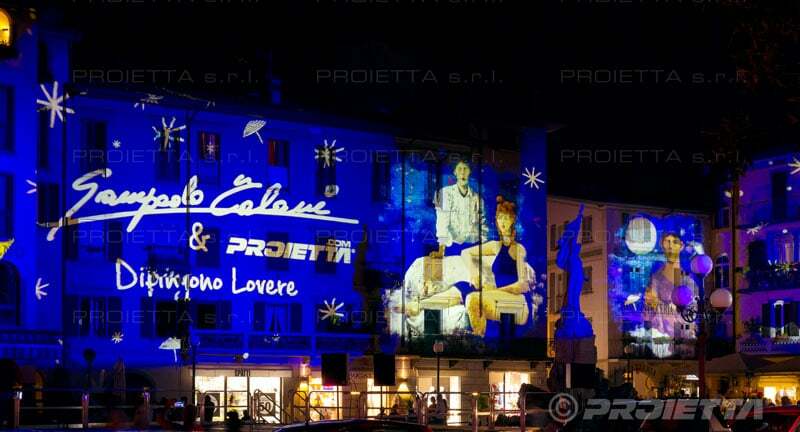 Lovere Romantic Night 2018, another occasion for PROIETTA to create beautiful displays which have illuminated the main squares of this lake side town. 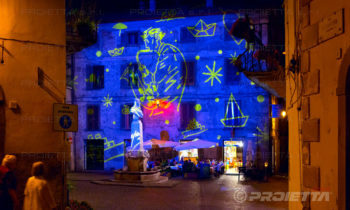 A festivity that repeats every year in the most beautiful medieval centres in Italy and which capture the public imagination through various events and initiatives. 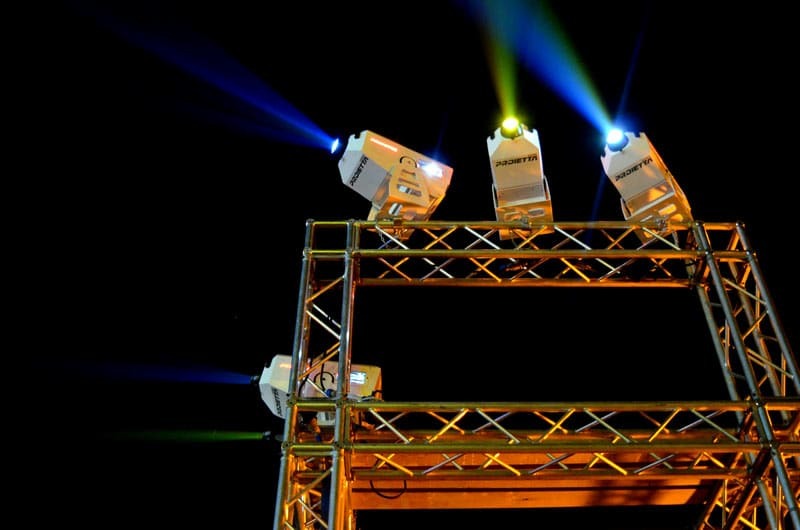 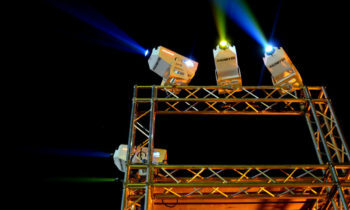 The IMPRESSIVE projectors were chosen to give large projective displays, their powerful light beams gave form to detailed images for the pleasure of all. 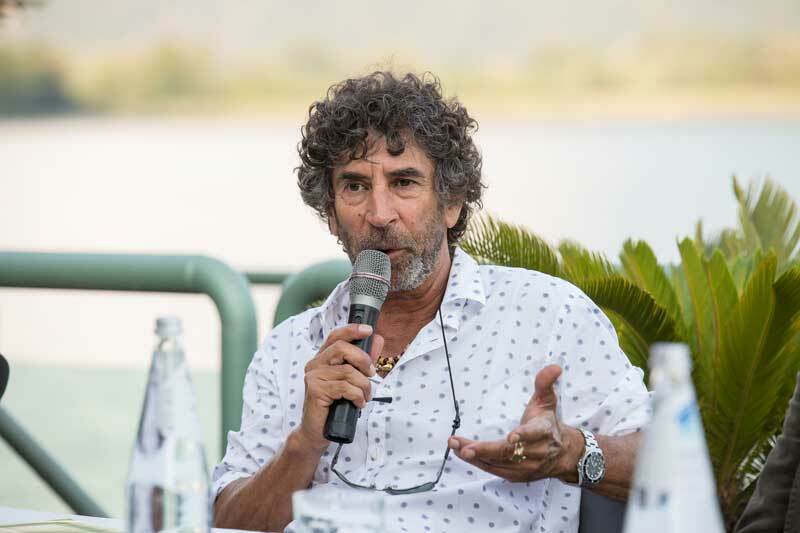 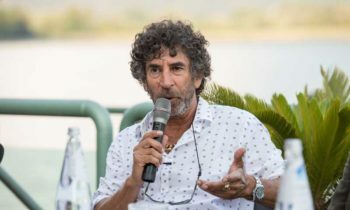 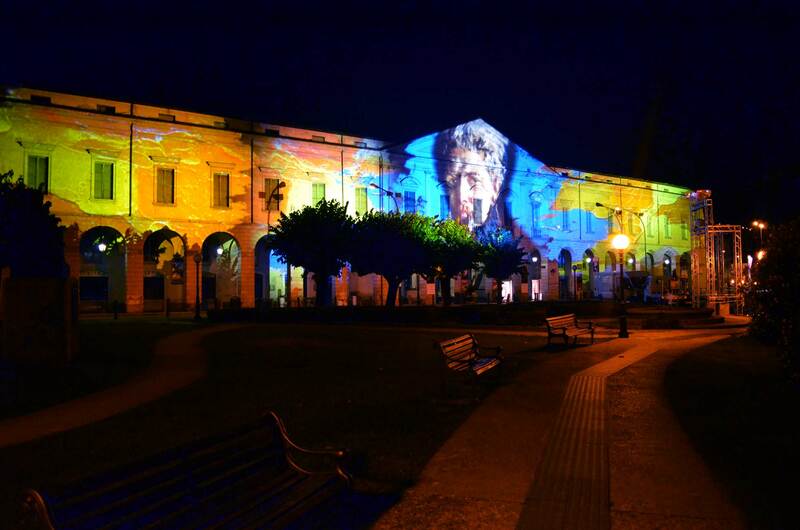 In the month of June 2018, Enel green Power presented a site-specific event on the artist Luca Seasini, from Pisa, in Larderello. 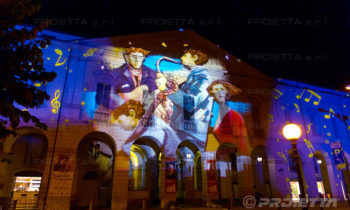 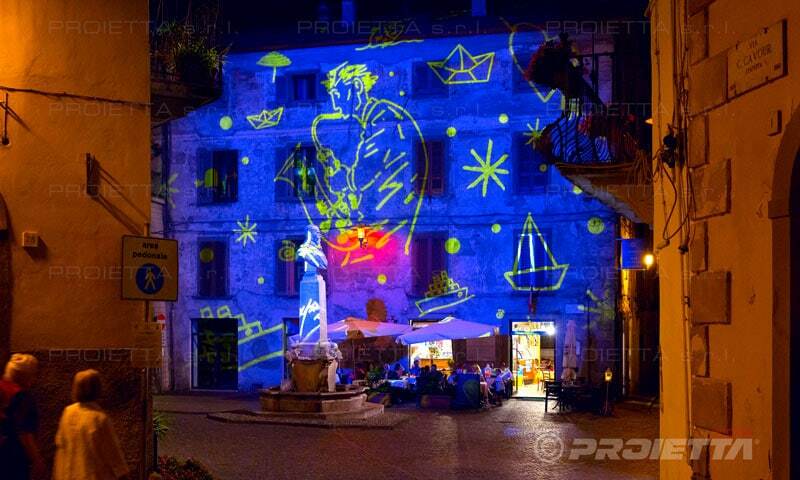 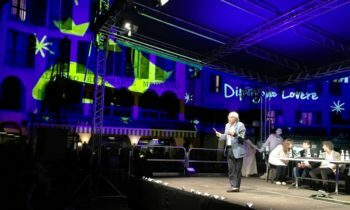 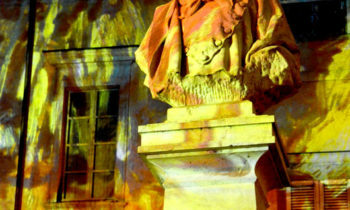 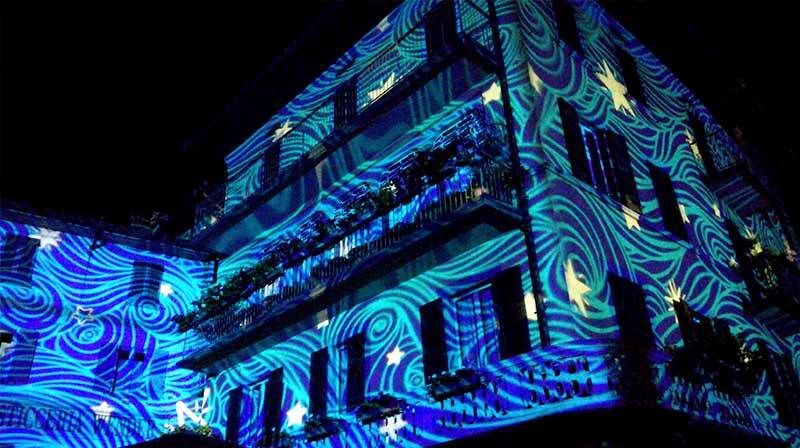 The project was called Constellations in Larderello/light art and was directed by Eleanora Raspi and promoted by Avv. 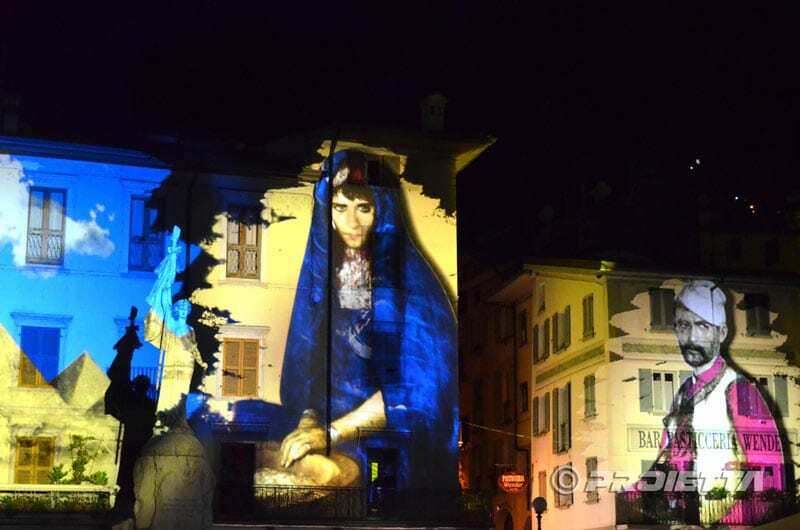 Ilaria Bacci, the Councillor for Culture in Pomarance. 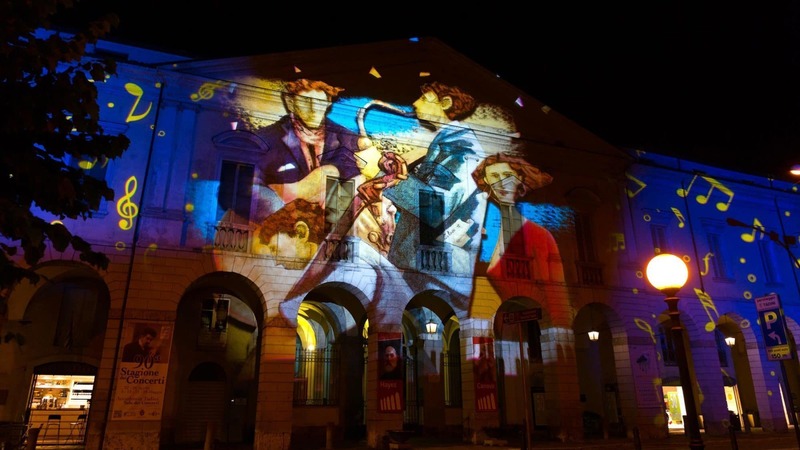 The idea behind the event was based on a photographic installation by the artist during “M’arte Personale/2016”, a contemporary art exhibition directed by the Pro Loco of Montegemoli (near Pomarance). 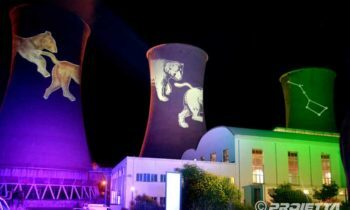 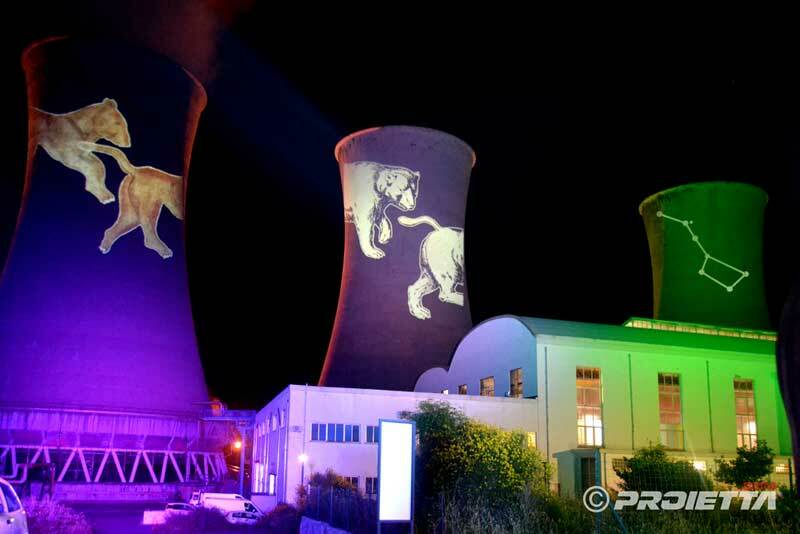 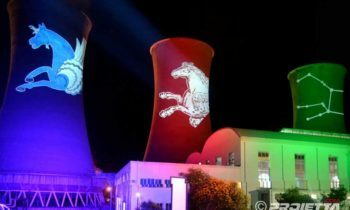 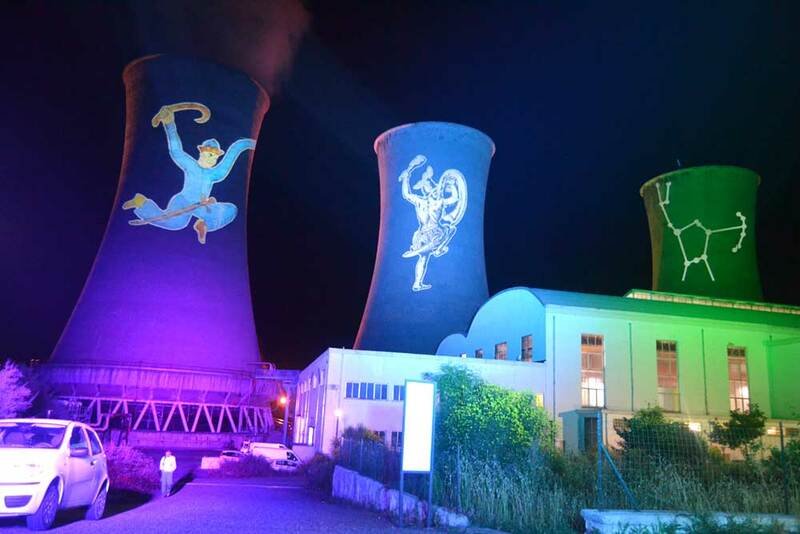 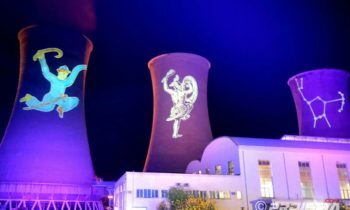 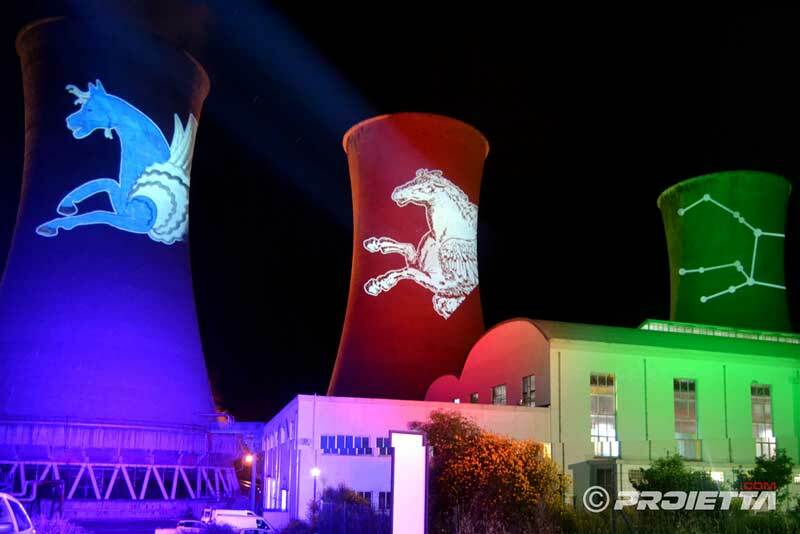 In June 2018 Constellations in Larderello/light art hosted an installation of a loop sequence of images projected directly on the external surface of cooling towers.